My inner farmer loves the satisfaction that comes along with knowing I grew what I am about to consume. It is my connection to mother nature I suppose? 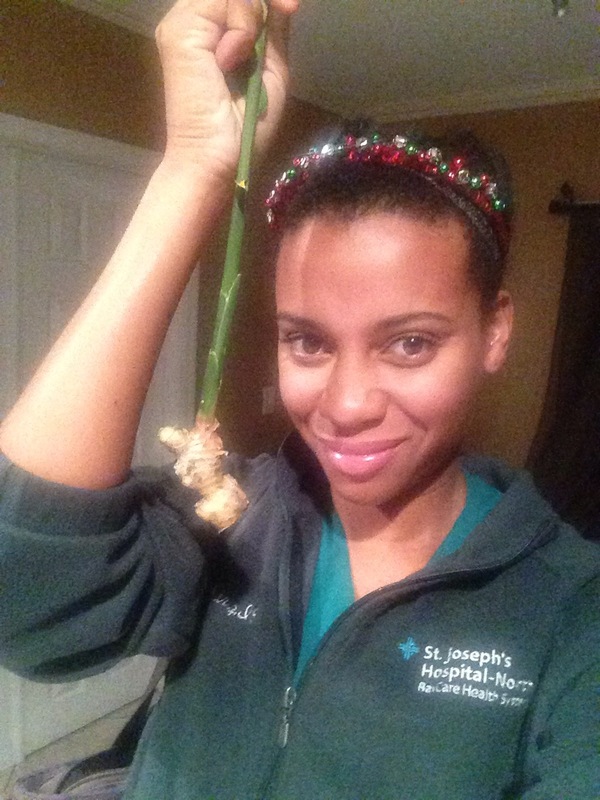 I nurtured this plant and my reward is a wonderful root. Contrary to popular belief ginger is pretty easy to grow. Ideal temperature is between 70 and 85 degrees. It requires about 1-2 inches of water a week. easy enough right! I am rather forgetful so a plant that requires a lot of attention is not for me. It does require plenty of nutrients so make sure you use rich soil. Do you grow anything at home?